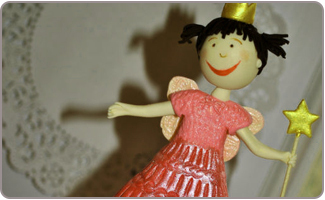 A Pinkalicious party is a great way to celebrate your little girl's special birthday. With some unique Pinkalicious party ideas, you'll soon find yourself surrounded by a lot of pink and a lot of happy girls! 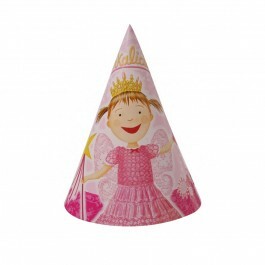 If you are looking for Pinkalicious party supplies in India, explore our website and place an order at least several weeks ahead of the party date. 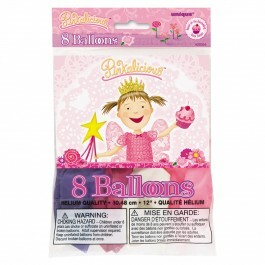 Pinkalicious is a very popular party choice for little girls, so sometimes there can be supply shortages, despite the best efforts of the inventory teams. Keep the guest list short and sweet, not only to help keep costs within reason, but also let each party guest have as much fun as possible. With parties of more than 10 guests, it can be hard to give each little guest the attention she needs to have a great time. Do some research into whether the Pinkalicious musical is coming on tour near you. This would be a great place to host a Pinkalicious birthday party. An alternative to hosting the party in your home would be to host it outdoors at a park or a recreational center where there is plenty of space for the kids to run around. A few packages of Pinkalicious invitations will help to save you some planning time, and also help to introduce the fun-filled party theme to all of the invited guests. Using some pretty pink construction paper, in a few different shades of pink, you can construct adorable pink cupcake invitations. Add some shimmery crafting beads to the invitations to look like cupcake sprinkles. 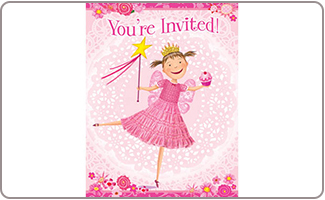 There are numerous images of Pinkalicious herself that can be added to the Pinkalicious party invitations, which give you a lot of freedom to design a gorgeous pink-themed invitation. Be sure to use a lot of pink, a lot of glam, and fun catch wording. Use yellow construction paper to cut out the shape of a star and write the party details on it. Attach a crafting stick to the star in order to create a wand! 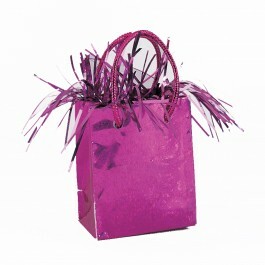 Add some pretty pink ribbons to drape from the star and you will have recreated Pinkalicious' signature want. Add some pink candy to the invitations, because as Pinkalicious says "You can never have enough pink!" Pink candied hearts or pink candy-coated chocolate drops are a fun choice. Some great Pinkalicious party ideas for games include spray painting a set of white toy bowling pins and bowling balls. Spray paint them a soft pink color and you'll be all set for some Pinkalicious bowling. 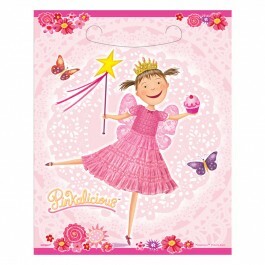 Pinkalicious themed coloring pages are a great choice for little girls to express their creativity. Be sure to have lots of pink crayons on hand so that there are enough to go around. A Pinkalicious Pinata filled with candies and other goodies will make a fun party game and kids will surely have gala time breaking open the pretty pinata. Set up a craft station where the party guests can create their own beautifully designed Pinkalicious crowns, star wands, and pink-tinted sunglasses. Use pink duct tape to create a tic-tac-toe game board. Cover circles and crosses cut out of cardboard with pink construction paper for the game pieces. 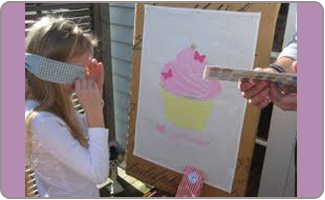 Pin the cherry on the pink cupcake is a lot of fun, and is just like the classic pinning the tail on the donkey party game. Be sure to use Velcro instead of an actual pin. 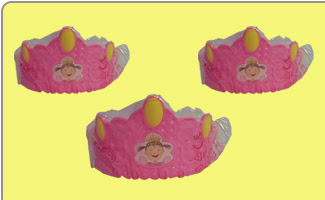 Some great Pinkalicious party return gifts include costume jewelry and other pink beaded baubles like pink pearls, rings, and even a pretty Pinkalicious tiara. 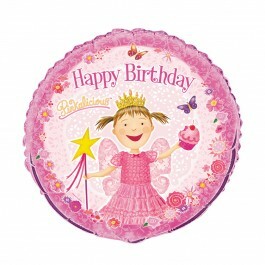 A set of pink tufted fairy wings are just the thing for this Pinkalicious birthday party. Pinkalicious blowouts, coloring books, pencils, stickers, hats and even crazy straws are a great choice to thank the party guests to helping you to celebrate! Pinkalicious books are also some great Pinkalicious party ideas for favors to send home with the girls, along with a selection of pink sweet treats and cookies. 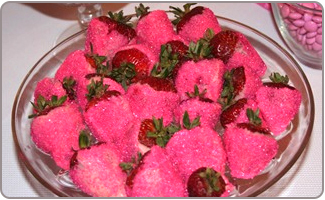 Pink is the name of the game when it comes to Pinkalicious party ideas for food. With this in mind, pink cupcakes are the perfect choice. Strawberry cake and delicious pink frosting will result in tasty cupcakes that can be topped with some Pinkalicious party decorations for cakes. Pink gumballs, pink jelly beans, and other pink candy, displayed in glass or plastic jars will not only be tasty sweet treats but they'll add to the overall party décor. Strawberries dipped in pink chocolate will look adorable on the table, along with a selection of sliced pink gala apples, watermelon, and chocolate covered bananas. Pink chocolate covered pretzels are also a fun choice. Use a star-shaped cookie cutter to create star wand sugar cookies, and also star-shaped sandwiches. Serve up pink lemonade or pink strawberry milkshakes for beverages. Use sugar and a bit of red food coloring to create deliciously sweet pink popcorn that can be arranged in little pink cupcake liners. 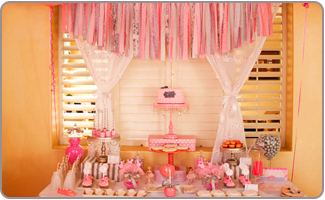 Start by decorating the party table with a Pinkalicious tablecloth. 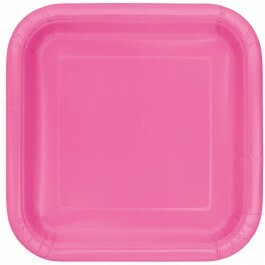 If the vibrant Pinkalicious tablecloth found amongst the rest of the Pinkalicious party supplies proves to be a bit too busy for your personal tastes then you can get a solid pink tablecloth instead. 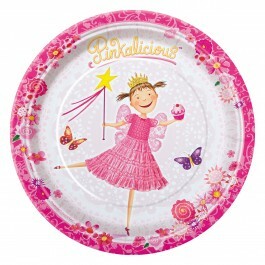 Use Pinkalicious party decorations to set the table up, with themed napkins, plates, cups, utensils, serving dishes, and more. No Pinkalicious party would be complete without a lot of pink balloons decoration in the party space. 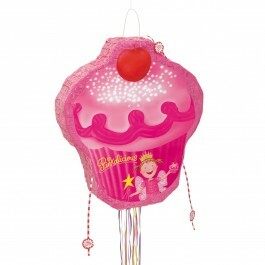 Since you can never have too much pink, get lots of balloons to add a nice festive feel to the party. Tie pink tulle to all of the chairs in the party space. Add tulle tufts to hang from the ceiling, along with hanging drapes of pink tulle. Create pink paper flowers using construction paper, or get some pink silk flowers, and glue them to the tulle. Pink tulle pompoms and butterflies will look adorable decorating the walls and doors of the party space. Decorate the walls with some pink paper flowers, or vinyl wall clings of pretty pink flowers. Hang pink curtains from the windows to add to the pink feeling of the party zone.